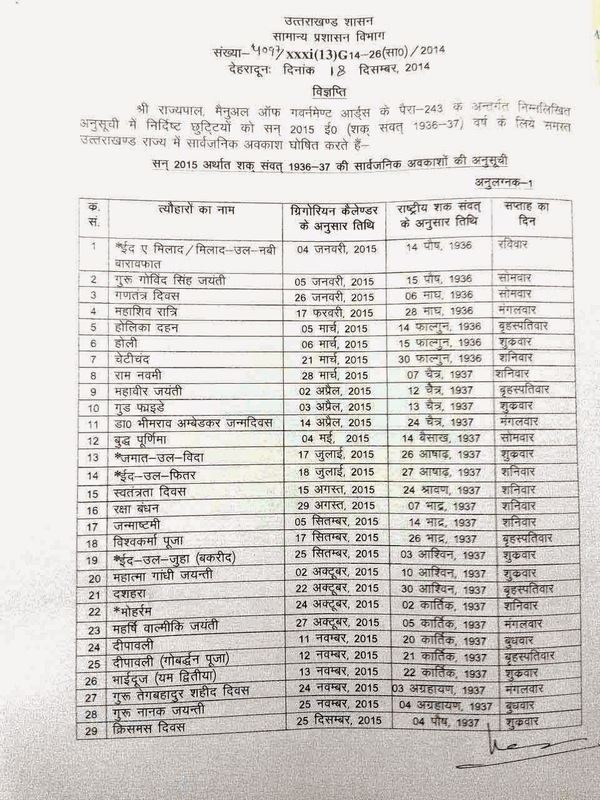 State government of Uttarakhand , published the official notification No 4097/XXXi(13)G14-26(S)/2014, dated 18 December 2014 , regarding the official holiday list , avkaash Talika for government department, education department and bank and treasury . ExamVacancy.in brought this Exclusive government holiday list , Schedule . you can download it in your mobile phone.